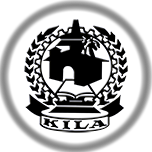 Helpdesk system is installed in KILA for monitoring and evaluating the queries/doubts raised by the various stake holders and common public. Earlier, it was working as a traditional phone based doubt clearance system. The beneficiaries call to an existing phone number. The expert who picks the phone will answer the doubts raised. A doubt or question raised can be by a phone call, direct question, email, web ticket, voice mail, Post, Fax etc. An ISDN PRI line is exclusievely used to accept the calls received from 32 lines of a single helpdesk number simultaneously. The calls received will be automatically routed to the IP Phone of the available call centre executive. The ticket for the call will be generated by the system and the executive captures the question raised in the call to the system. The answer to the call, if answerable by the executive, will be delivered instantly. If it is not answerable by the executive, the ticket along with the question can be escalated to an expert in the relevant area. The activities from receiving call to the end of the call will be recorded and the audio thus recorded will be attached along with the ticket generated. This system enables us to scientifically monitor the entire helpdesk activities. The key features of the help desk management system includes its support for call queues, outbound dialing, Interactive Voice Response (IVRs), call recording, real time monitoring and reporting. The system generates a job Id for every interaction and the facility is provided to track the status of the job id at every point of time. This job id is communicated to the stakeholder by SMS and email.